Size: -- Choose Size -- 1" 1-1/2" 1-1/4" 1/2" 2" 3/4" 3/4" x 1/2"
This Spears 835-CBR series transition fitting has brass female NPT threads on one end and a schedule 80 CPVC socket opening on the other, and is suitable for connecting plastic and metal pipes with different ends. The National Pipe Taper (NPT) threads create a tighter seal than straight threads, and the socket end connects to pipes with a smooth bore for enhanced flow. 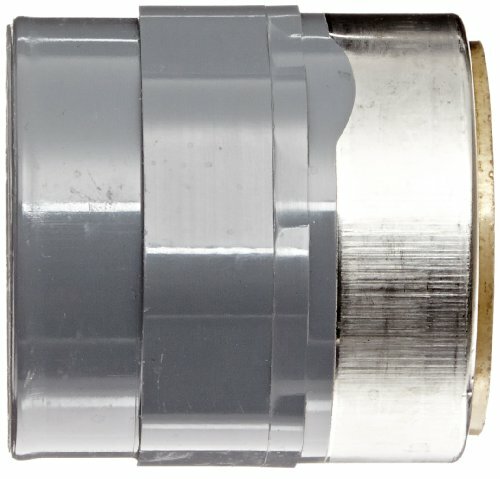 This transition fitting has a medium gray schedule 80 CPVC (chlorinated polyvinyl chloride) body for strength, resistance to chemicals and corrosion, and compatibility with plastic pipes. It has brass threads for strength, resistance to corrosion, and compatibility with metal pipes, and an internal O-ring seal that compensates for expansion and contraction differences between materials. It has a maximum operating temperature of 200 degrees F and meets ASTM International D1784 standards for quality assurance. 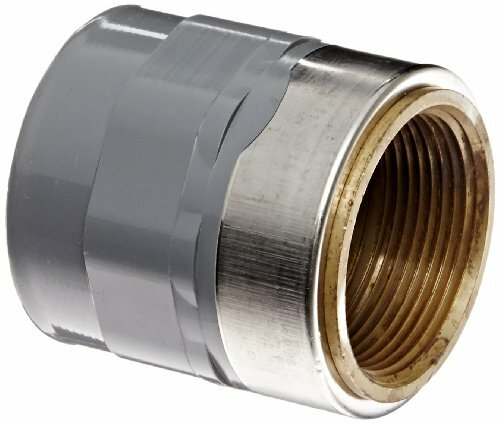 This CPVC and brass transition fitting is suitable for connecting metal and plastic pipes for transferring liquids other than drinking water. Spears Manufacturing produces thermoplastic fittings and valves for fluid, drain, waste, and vent systems. The company, founded in 1969 and headquartered in Sylmar, CA, meets International Organization for Standardization (ISO) standard 9001.